Transport Scotland has been accused of giving preferential treatment to A9 campaigners over a group in Moray because they are constituents of the Deputy First Minister. An A96 dualling campaign group calling for more involvement in the decision making process for the new route has held positive talks with transport chiefs. Campaigners remain committed to trying to influence an upgrade of one of the north of Scotland’s busiest roads - despite the imminent announcement of the preferred route. Anxious Moray residents have pressed transport bosses to reveal their preferred route for the upgraded A96 Aberdeen to Inverness road as soon as possible. The final decision on a major upgrade to Moray’s busiest road will be unveiled early next month. Community-led drop-in meetings are being held this week across the Garioch area to give residents information on the A96 dualling routes proposed between Inverurie and Huntly. Residents living along the routes of a major road dualling project have banded together to urge more people to speak out against the “illogical” proposals. A north-east politician has urged transport bosses to address “deep concern and anxiety” among residents about planned routes for the A96 dualling project around Inverurie. A campaign group who demanded that Transport Scotland give locals a larger say in the creation of a new dual carriageway through Moray will have their case heard at the Scottish Government. A Moray campaign group has demanded the Scottish Government assign the community a key role in the redesign of the A96. A Moray community council has issued a rallying cry to residents to ensure their voice is heard in a major roads project. A heritage site and equestrian centre have been safeguarded after Transport Scotland revised plans to upgrade Moray’s busiest road. New details about upgrades to Moray’s busiest road will be unveiled in the next two weeks. Campaigners battling to protect a north-east landmark from a multimillion pound dual carriageway project have taken their fight to the heart of Holyrood. Work is expected to begin next week on transforming an unassuming Moray hill with links to one of Shakespeare’s most famous characters into a holiday park inspired by the story. A Moray councillor has expressed fears that his own three–year-old granddaughter will have grandchildren by the time the A96 dualling in the area is complete. A £30million plan to relieve traffic gridlock in Elgin could take a major step forward this week. A campaign to protect an most iconic Aberdeenshire landmark from the re-routing of one of the region’s busiest roads has won support across the political divide. Campaigners, worried about the effect of upgrading the A96 Aberdeen to Inverness road through Moray, have organised a public meeting to gather views. A long-awaited road scheme is to take a step forward with investigatory work due to start later this month. Upgrading one of the region's biggest roads is key to a north-east town centre's future, say local business owners. 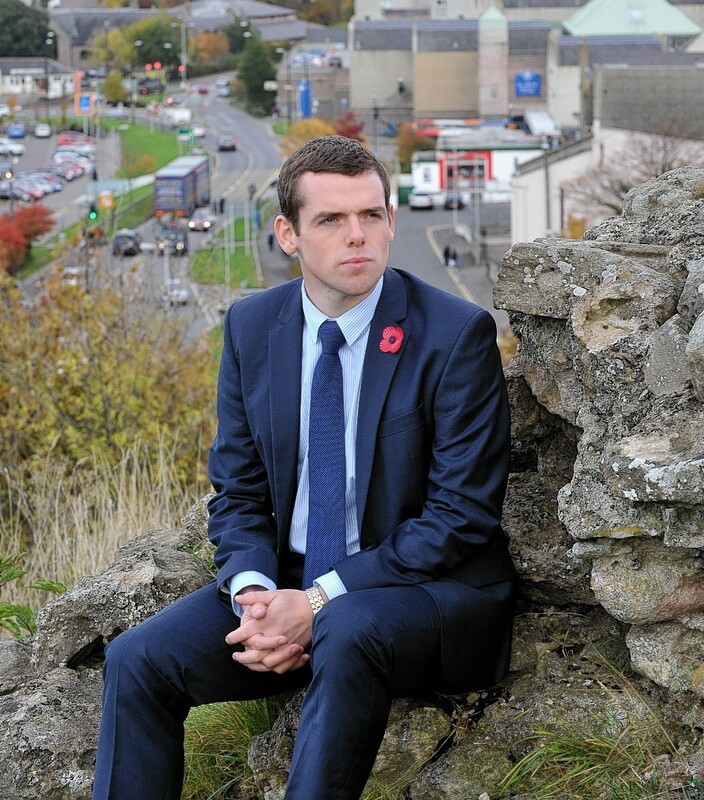 A north-east politician has backed a campaign to protect a local landmark from plans to upgrade one of the region's busiest roads. Land and property-owners impacted by the multibillion pound dualling of the A9 and A96 have been warned to brace themselves for compulsory purchases. Highland Council is lobbying transport chiefs behind-the-scenes to persuade them to start the £3billion A96 road dualling project at Nairn. The Scottish Government has ruled that housing developments near an Aberdeenshire town should be limited until proposals to expand a major road have moved forward. A project to widen one of the north-east's busiest roads has taken another step forward. A major property company has urged landowners to object to the long-awaited Nairn bypass if they have concerns about the planned route. Bats, badgers, red squirrels and pine martens could be among the species affected by a major new road between Inverness and Nairn. A controversial route to dual Moray's busiest road by cutting through the rural countryside is "unlikely" to go ahead. SNP ministers have been urged to scrap one of the options for dualling the A96 - because it would be so damaging to the economy it has no chance of being built. Moray Council has been urged to launch extensive public talks on plans to dual the A96 Inverness to Aberdeen road through the region.